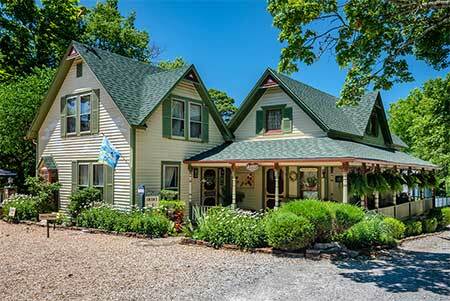 This circa 1883, award winning, Eureka Springs Bed and Breakfast Inn & Cottage has been serving guests for over 30 years. 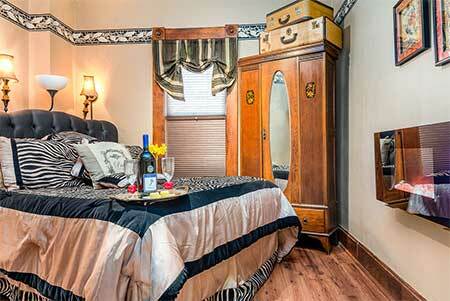 You will experience luxury bed & breakfast lodging with an emphasis on relaxation, refreshment and with romance in mind. The Inn’s historic charm has been carefully preserved yet all the interior spaces are renovated to current standards that guests expect. 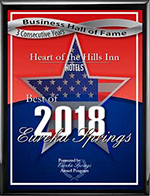 Exemplary personalized hospitality and some of the most fabulous gourmet breakfasts await you at Heart of the Hills Inn in Eureka Springs, Arkansas. Book either the Gabriel or Summit Suite Sunday - Thursday for two nights and get complimentary white/red wine on arrival and a 15% DISCOUNT ON THE BASE ROOM RATE. 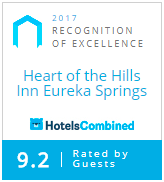 NOTE: YOU MUST BOOK THE SUITE VIA THE INN'S WEBSITE AND THE TWO NIGHT STAY MUST BE CONTAINED WITH SUNDAY-THURSDAY FOR THIS TO APPLY. 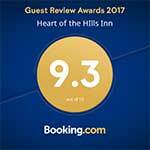 You can use the check availability button at the top left of web site homepage or call to book and let me know you want the special. Book either the Gabriel or Summit Suite on both a Friday/Saturday and get complimentary white/red wine on arrival and a 10% DISCOUNT ON THE BASE ROOM RATE. 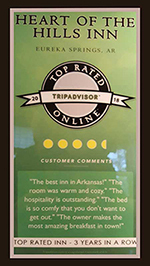 YOU MUST BOOK THE SUITE VIA THE INN'S WEBSITE You can use the check availability button at the top left of web site homepage or call to book and let me know you want the special. 3 block walk to the heart of downtown. 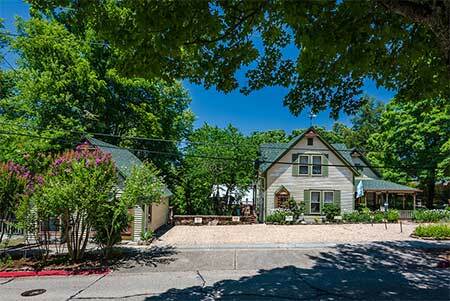 Access to in-town walking, biking and hiking trails right from Inn. Order a picnic basket for your hiking, biking or walking enjoyment from the Inn. 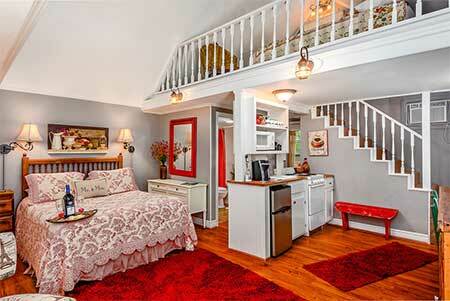 Private Entrances to all suites and cottage. 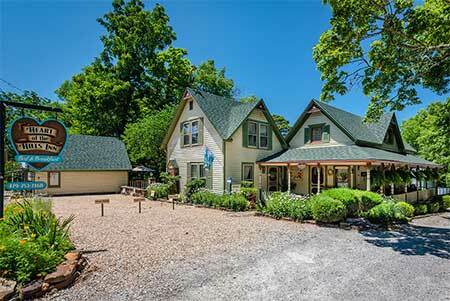 Private decks or porch for each suite/cottage with outdoor dining and seating (you are here for privacy but if you want to socialize the Inn's gardens are just the place). One night stays accepted. Check out other Inn's and you will see that we are competitively priced. our amenities are top notch as are our grounds and suites. Chef's gourmet breakfast delivered in-suite or you can dine al-fresco on your private deck/porch (check out the guest rave comments on breakfast). Private in-suite baths, Jacuzzi tubs and doors that separate your private bathroom from the rest of your suite. Off-street assigned level parking. Sunken gardens, fire-pit, gas grill,Free secure WiFI and Muli-channel cable in each room are just a few of the additional features. 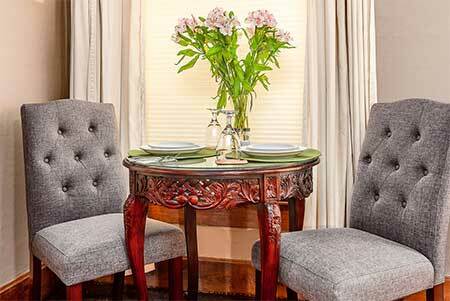 Easy access within walking distance to fine dining and bars so no need to drive or take a taxi. American with Disabilities Act (ADA): Heart of the Hills Inn in order to comply with the ADA wants you to know that: If you are disabled and need assistance in using the Inn's services, or obtaining information you need about our services, please call us at 1-479-253-7468 and we will be happy to assist you. 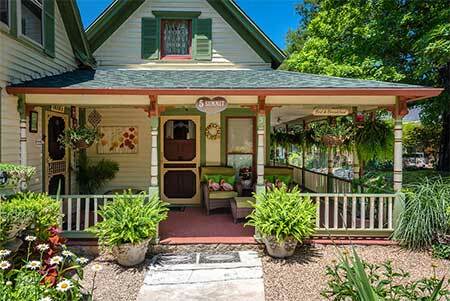 "This was the best B & B of all we looked at... And we looked at a lot. It is so charming and cute. We had the best time here and would love to revisit. Thanks a bunch."